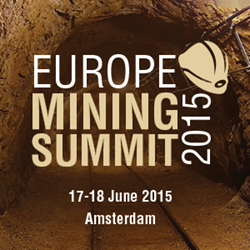 The Europe Mining 2015 Summit, organised by Global Summits Organiser, IRN, and taking place in Amsterdam this coming June, will provide the senior-level delegation in attendance with country-focused presentations to enhance their knowledge of the latest market trends and monitor the latest mineral resource developments in Europe. The European mining industry has a lot happening, and not only in the resource-rich Scandinavia; Eastern Europe is promising too. For the first time in 2015, Hungary will invite bids for coal mining concessions. Lignite and brown coal account for about 80 % of the country’s total coal reserves, making these the most important indigenous sources of energy. Ukraine also possesses generous energy resources, including 31800 million tonnes of proven coal reserves. Ukraine’s Energy Strategy to 2030 envisages increasing the installed capacity of coal – fired power plants, which ensures a bright future for the mining sector. The Czech government just announced its support to the renewal of uranium mining, right when Asia is moving ahead with nuclear power and investors are looking for high volumes of uranium. Poland’s estimated coal production in 2014 was up by 2% compared to 2013. Several European energy companies are currently active in the Polish energy sector. The Turkish government approved several modifications to the Mining Law a few weeks ago, showing its willingness to encourage further development of the industry. Some of the highlights include a better ground turn-over, a more accurate definition of licence areas and the introduction of a new royalty framework. The Europe Mining 2015 Summit, taking place in Amsterdam this coming June, on 17-18th, will provide the senior-level delegation in attendance with country-focused presentations to enhance their knowledge of the latest market trends and monitor the latest mineral resource developments in the region. The Deputy Undersecretary of the Ministry of Energy and Natural Resources of Turkey and the Senior Investment Officer for Infrastructure and Natural Resources Department at the International Finance Corporation Turkey will give an overview of the Turkish mining industry, from the mineral potential of the country and the updated Mining Law to the investment incentives. There will also be special focus on Poland, EU’s coal-producing giant. For two days, the forum will facilitate business-focused discussions between the European Commission that will be part of an outstanding speaking faculty and a senior level delegation, in a central location in Europe. The official Twitter hashtag to join the discussions about the forum is #EuropeMining.